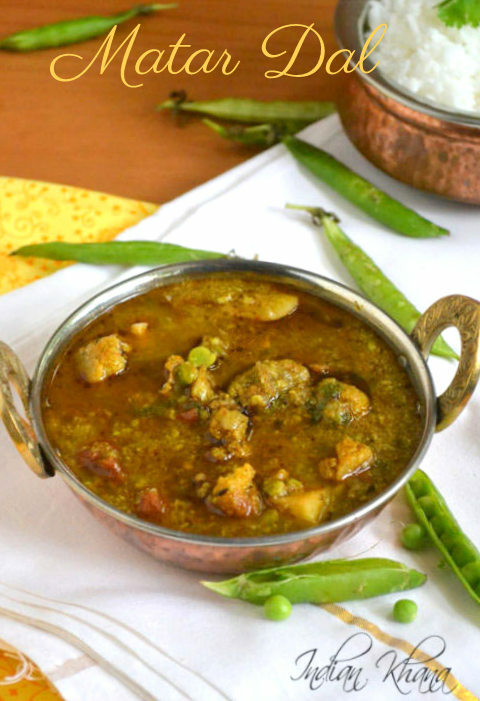 Matar Ki Dal or Peas Dal or matar nimona as unknown in Uttar Pradesh dal made with fresh peas and normally no lentil is used in this dal recipe. Matar Dal is popular recipe from Uttar Pradesh and it's a must during peas season in our home, in fact everyday matar ki dal is made in our home as my dad love this dal. 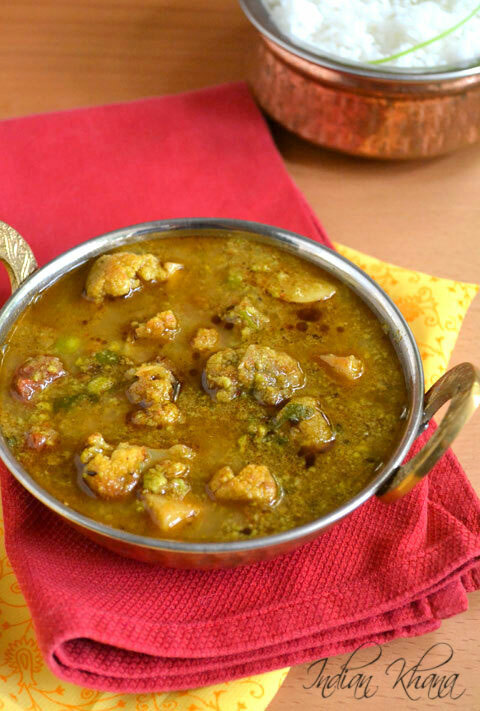 Matar dal is something very different and delicious compare to any other dal, the texture, flavors and taste is awesome if made properly. I wanted to post this matar dal recipe for very long time but getting fresh peas in Singapore is real challenge and I am hardly in my parents place during peas season though I was there time this but still didn't manage to take pictures. Then few days back found fresh peas (not really very good though) here and made this awesome and special matar dal. 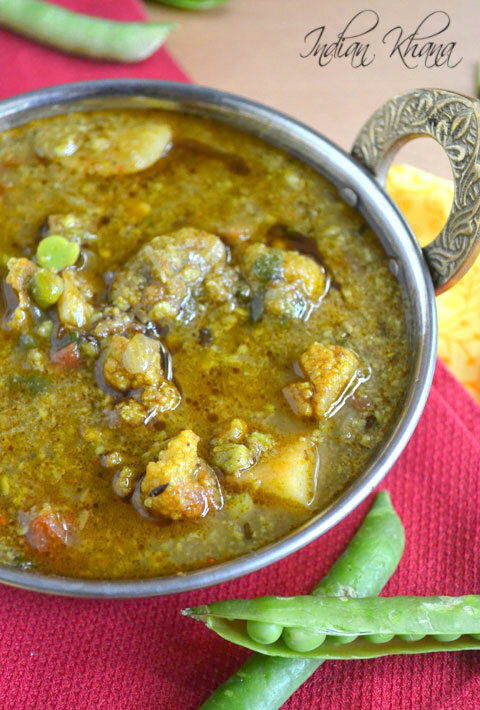 Normally matar dal is made with fresh peas and I personally also never tried with frozen peas though I want to give a try once, so if you wish to use frozen peas it will work but there will be sure compromise in taste. 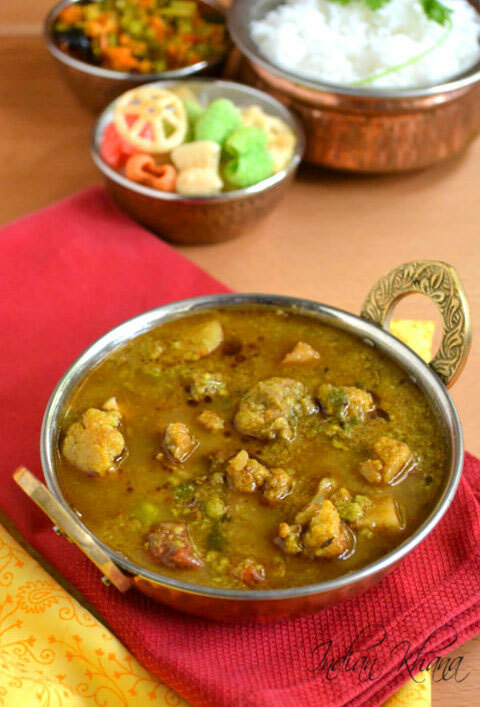 This is our family treasure recipe and like most of the dishes this dal also made in few versions. Along with peas we can also add potato and cauliflower to add more added taste and nutrition though it's not must. This dal is normally on thicker side and looks like sabzi too. 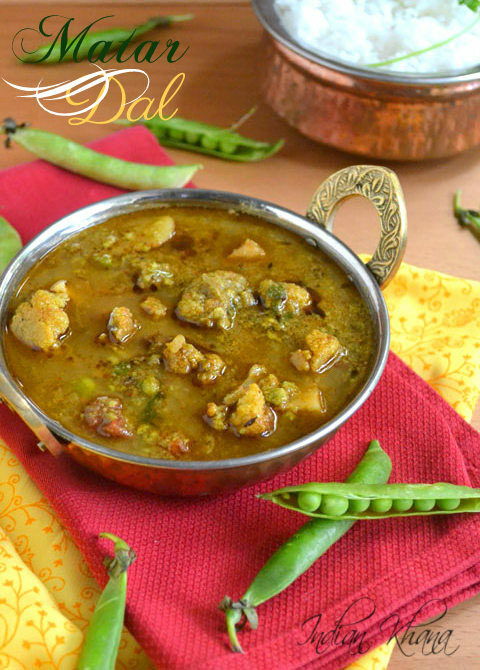 If you want to impress your family, guest or party then try this different dal and you will like it too I guess. 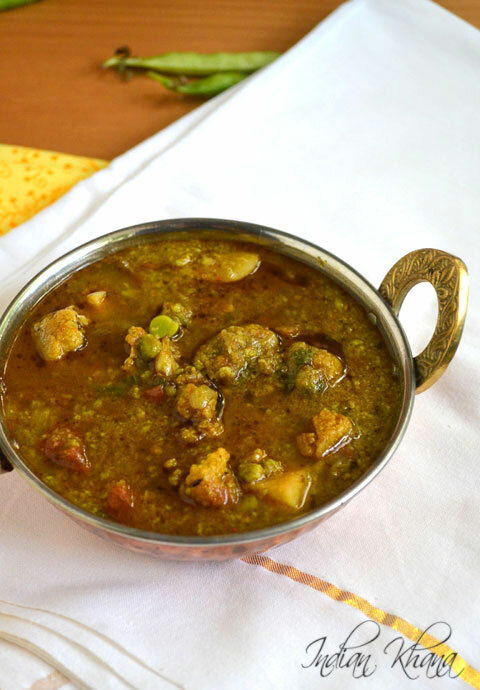 Flavorful, authentic dal made with peas and spices. Snap the top of the pod off and pull down to remove the string from the seam, split open pod and pop the peas out of pod, rinse peas well in water and grind into smooth paste using little water, keep aside. Peel and chop onion and grind with all the items listed under 'To Grind' into fine paste using little water. Peel and finely chop onion, tomato and keep aside, cut callower in florets, peel and dice potato. In a pan heat 1 tbsp oil add cauliflower and potato and fry until all sides brown and it's almost cooked, keep aside. In the same pan add 2 tbsp oil and heat, add peas paste along with 10-12 whole peas and saute in low to medium flame until it becomes golden/light brown and aromatic, there should not be any raw smell. Keep stirring regular and this takes a while and it's the important step, keep sauted peas paste side. In the same pan heat remaining oil add hing, bay leaf, cumin seeds, methidana and allow to splutter. Add finely chopped onion and saute until soft, now add masala paste we prepared and cook until oil starts to separates. Add turmeric, red chili, coriander powder and mix well, cook for a minute. Add tomato and cook until mashed. Add sauted peas and mix well. Add water, salt and bring it to good boil, simmer in slow flame for 5 minutes. Add fried cauliflower and potatoes and simmer again in slow flame for 8-10 minutes or until oil floats on top. Serve hot/warm with roti, paratha, rice. You can use frozen peas, while grinding use very little water only if required. Frying peas paste well until light brown and raw smell goes away is important to have good dal. Healthy, little spicy, flavorful hare matar ki dal.